Although extremely common, periodontal disease is not often talked about. And who can blame us, when the symptoms are all those yucky things: bad breath, bleeding gums, loosening teeth and even tooth loss. But periodontal disease is more than just yuck. It can be extremely damaging, so it pays to take steps to avoid developing the disease. Haven’t got time to read? Here’s the lowdown. Periodontal disease is the second stage of gum disease. Gum disease is caused by a build-up of plaque (a sticky substance made of bacteria) on the teeth along the gum line. Plaque feeds on sugars, so will spread more quickly when there is more sugar present. You can usually treat gingivitis easily by good oral hygiene, however periodontitis needs more thorough professional intervention. Left untreated, it can lead to tooth loss. Regular dental checkups are a must to keep periodontitis at bay, so contact your dentist to find out how often you require professional cleans. And remember – always clean and floss your teeth! But first, let’s understand gum disease. Gum disease is caused by a build-up of plaque on the teeth along the gum line. Plaque is a sticky substance (or biofilm) made up of a proliferation of bacteria. It coats the teeth and gums and feeds off sugars left in our mouth. If left untreated, advanced gum disease will set in (periodontitis) eroding the ligaments and bone holding the teeth. Many people will get the first stage of gum disease: gingivitis, but will be lucky enough for the condition to never develop into periodontitis. Others, due to genetics, lifestyle factors, and other causes will be more predisposed to developing periodontitis. We’ll look a little bit more closely at these contributing factors a little later. The first stage of gum disease or early gum disease, gingivitis present itself with symptoms such as bleeding gums, especially when you brush your teeth or eat, and redness and swelling of the gums. Fortunately, this condition can usually be reversed by regular brushing and good oral hygiene. The advanced stage of gum disease, periodontitis may occur if gingivitis is not treated. When gum disease takes a hold, the gum is weakened and spaces can start to form between your gum and the tooth root. We call these spaces ‘periodontal pockets’. To add insult to injury, bacteria gets trapped in these pockets, causing more damage to the area. Over time, the bone becomes eroded and damaged, with larger pockets forming between your tooth and gum. Left untreated, your teeth may become loose, fall out or may need to be extracted. Why are some people more predisposed to periodontitis than others? Who knew? Smoking can do even more damage! When you smoke, you reduce the blood supply to the tissues in your mouth, so your capacity for healing and fighting off nasty oral infections become severely compromised. Not only does smoking increase your risk of developing the disease, but it makes treatment extremely difficult, given that your healing capacity is compromised. If you smoke and you want to have periodontal disease treated, we suggest you quit. If your diabetes is not kept under control, your blood sugar levels rise, increasing your risk of gum disease. However, if you keep your blood sugar levels under control, you’ll be less likely to develop periodontitis. Fortunately, recent research has shown that treating the disease in diabetics makes it easier for them to control their blood sugar. Therefore, if you have diabetes, make sure you have regular dental health checks. Gum disease can’t happen without plaque. However, plaque does occur naturally in the body, so even if you have the very best diet and oral hygiene, you still have to be careful. Eating sugary food, however, increases your risk because that sticky, bacteria-filled plaque feeds off sugars. So, if you eat sugary food and fail to brush, floss and rinse your mouth, it’s likely you will open yourself up to a proliferation of plaque. It’s important to remember that if you have any factors that predispose you to periodontal disease, you will have to take extra care in managing your hygiene as well is have more regular professional cleans. Talk to your dentist about the recommended requirements for your oral health. Occasionally, we actually can blame our parents! Periodontal disease runs in the family. If any of your family members have lost a lot of their teeth, try to find out why this has happened. If it was due to periodontal disease (or as it used to be called, pyorrhoea) you may have to be extra careful as your risk is increased. Occasionally, other factors may play a role in the development of periodontitis. 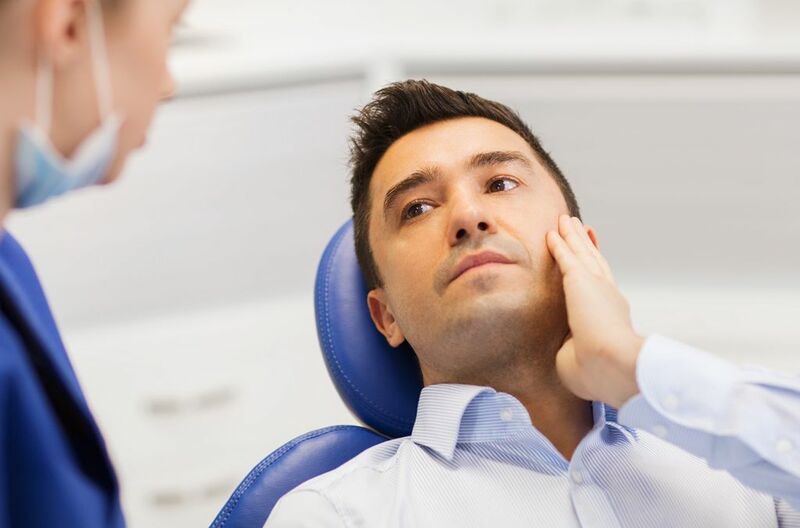 Chemotherapy, immune disorders, HIV infection and leukaemia are all such conditions where the immune system is lowered, so the body is less able to fight off infections throughout your body – including your gums. Increasing the chances of problems is the fact that many medications used at these times dry the mouth, and when there is less saliva, plaque levels can increase as saliva helps to keep plaque levels down. Regardless of whether you are predisposed to periodontal disease or not, it pays to take the this issue seriously as prevention is better than cure. Remember, with good oral hygiene and regular checkups, there is no reason why most of us shouldn’t be able to keep our teeth.